With Rockstar Games’ Red Dead Redemption 2 pushed back until October, gamers will now need to look elsewhere for another Western epic in the meantime. In comes Cold Iron, a zany new virtual reality puzzle-shooter game that developer Catch & Release describes as a cross-up between Punch-Out!, Stranger Things and Westworld. In Cold Iron, you play as an unnamed gunslinger traveling across the Wild West to avenge the death of his father. Using the eponymous firearm (controlled using a single motion controller), you’ll take vengeance upon your enemies, which range from notorious outlaws, craft sorcerers and killer robots. 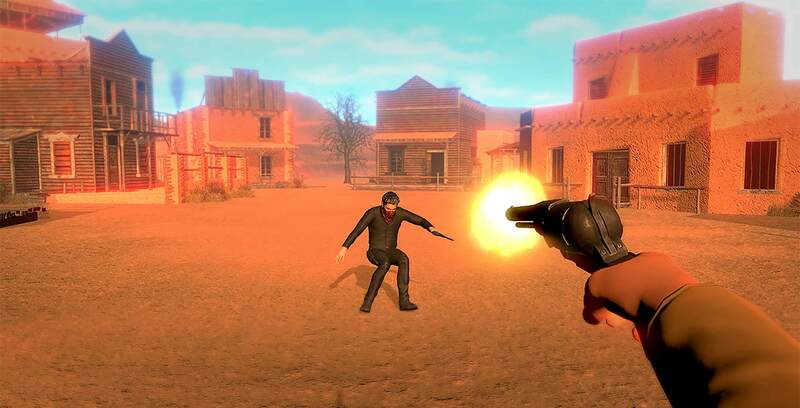 The basic gameplay premise of Cold Iron is simple — in the vein of classic Western duels, you’ll keep your hand on your holstered gun until the firefight begins, with whoever can draw and shoot the fastest coming out alive. Unlike most shooting games, though, it’s one shot, one kill in Cold Iron, meaning you have to be as quick and accurate as possible. As a result, shootouts in the game are incredibly tense and reflex-based, relying on your ability to be quick on the draw as soon as you hear the bell. Making duels even more pulse-pounding is the sound — and associated controller vibration — of your character’s heart beat. I could almost feel the sweat pouring down his brow also make its way onto my own. All of this pressure doesn’t mean that Cold Iron is completely unforgiving, though. Each duel thankfully consists of multiple rounds, affording you a few different opportunities to slip up and make a comeback. All the while, a gravelly-voiced narrator offers dry commentary on your successes and failures, adding some much-appreciated character to the fights as well. You’ll get ranked based on how quickly you drew your gun, as well as how precise your shot was (with headshots garnering a higher score). Interestingly, the game will also mark with an ‘X’ where you missed the mark if you die, helping you better understand what to do in the next round. Seeing that you drew your gun in under two-fifths of a second certainly makes you feel accomplished. 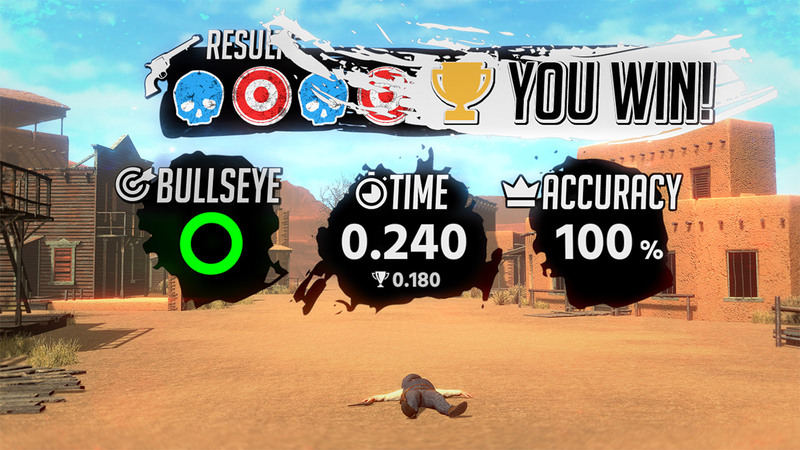 But traditional cowboy-style duels can only carry a game so far, and Catch & Release has smartly added various puzzle elements to diversify the kinds of shootouts you’ll be getting into. In one duel, you’ll face an opponent who can make copies of himself, forcing you to study which one you actually need to shoot. 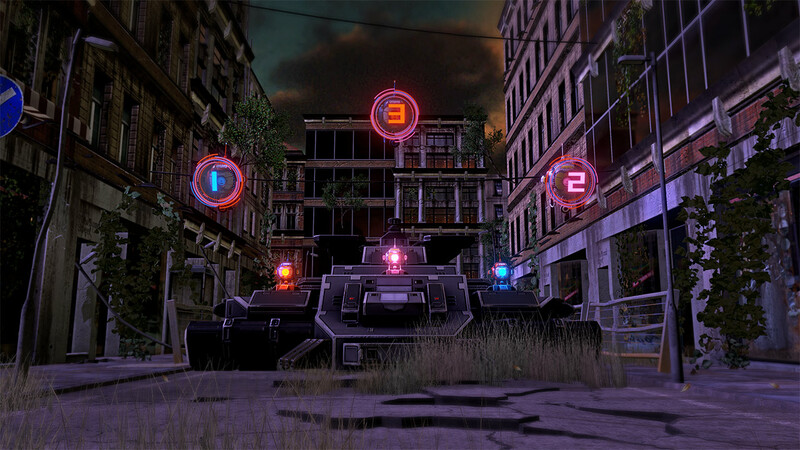 In another, you may have to shoot targets in a particular order, right in the face of a lumbering tank. While the puzzles may sound simple enough, the one-shot-you’re-dead nature of the game means it’s essential that you get them right, effectively adding to the already sweat-inducing level of tension. You’ll also need to concentrate and ignore any distractions that may come your way, such as an opponent’s sharp whistle or a flock of birds flying nearby. With an easy-to-grasp Western-inspired premise, intuitive, tight and engaging motion-controlled shooting mechanics, there are few VR games that have created as strong a sense of immersion as Cold Iron. While the game is a little short and can seem repetitive at times, managing to draw your trusty sidearm in the nick of time to blast your enemy to Kingdom Come is a rewarding feeling that almost never gets old. 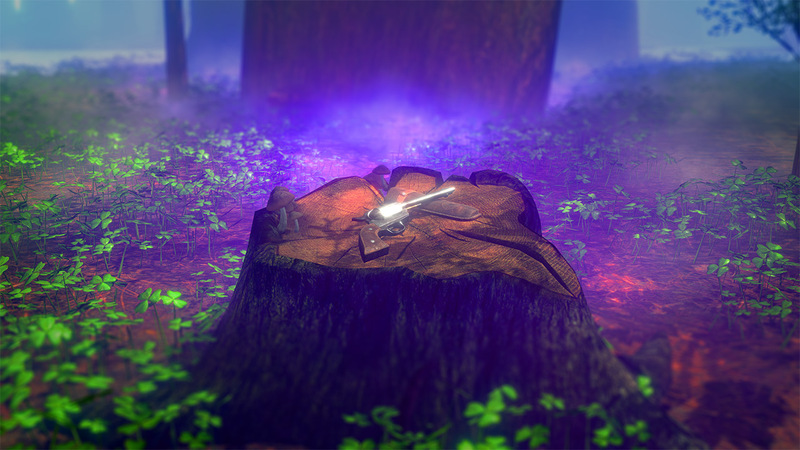 You’ll want to saddle up and ride on this VR gem. Cold Iron is now available for download on PlayStation VR for $26.99 CAD (reviewed), Oculus Rift for $20.69 (currently 10 percent off, regularly $22.99) and HTC Vive for $20.51 (currently 10 percent off, regularly $22.79).